The original ES-3 lacks the expansion headers of the mk2 version. However, it is fairly simple to solder the equivalent connections. 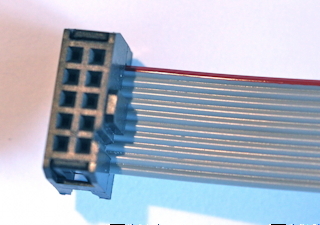 Only six of the cable's ten conductors need to be soldered to the ES-3. The other four can be discarded. An unmodified ES-3 mk1 PCB is shown below. 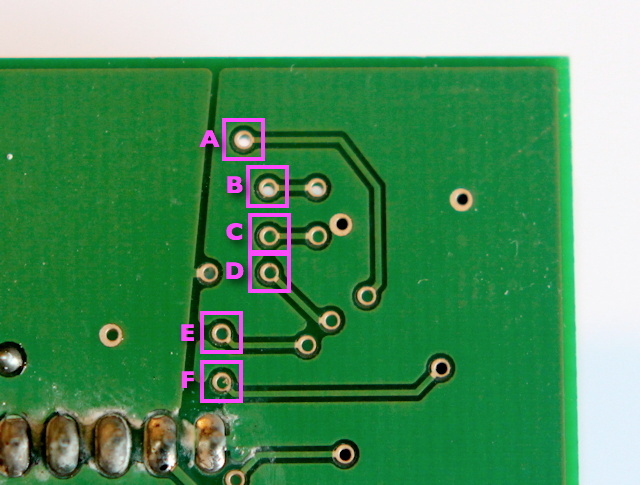 The highlighted areas are vias (connections from one side of the PCB to the other) and probably the easiest points to make the connections.